If you’re thinking about getting an electric bike, or any electric vehicle for that matter, you might be asking yourself if one is definitely right for you. This blog aims to explore some of the most common reasons that inspire people to make the electric switch. Are you looking to reduce your impact on the environment? Unfortunately, petrol-driven cars are responsible for the release of 20 per cent of the world’s total carbon dioxide emissions each year. If you are one of the many eco-conscious individuals wanting to reduce your carbon footprint, an electric bike or electric motorbike is a simple and very effective way to do it. Have you lost your license and are looking to get back on the road? One of the great things about electric bikes is that most don’t require a license to drive. If you have recently lost your driving license, for whatever reason, electric bikes are a great means to regain your independence and get back on the roads with minimal fuss. Are you fed up of rising fuel prices? Filling up your tank is becoming more expensive by the day. With an electric bike, simply top up the battery at home and ride as far as 100km off a single charge. Electric bikes cost around 1p per mile to drive, making them significantly more cost-effective to run than a car. Is commuting on your regular bike causing you strain? If your commute involves steep hills or inclines that make it a struggle to get to where you need to be each day, an electric bike might just be the answer. With twist-and-go accelerators, electric bikes help you to glide effortlessly through the harsher parts of your commute and make your journey that little bit easier. Are you tired of congestion and trying to find a parking space? With an electric bike or an electric moped you can zip effortlessly through traffic (with caution, of course) and also wave goodbye to trying to get a parking space and paying over the odds when you eventually find one, because you can park an electric bike anywhere you can park a regular bike! At E-Rider, we have a complete range of electric bikes to suit all needs and requirements. 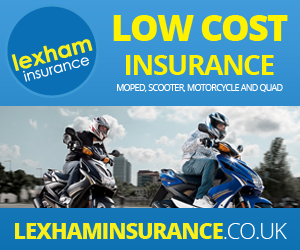 With eight bikes and mopeds to choose from, we’re bound to have a model for you. See the current range in full here and join the electric revolution today.